Enclosed in the lush Payangan hills and overlooking the green tropical jungle, Padma Resort Ubud never fails to offer that romantic mood and ambience. It’s where you want to spend any special moment to celebrate or rekindle everlasting love. Hence, if you’re thinking of taking that next step to make it official with your other half, let us inspire you on the many ways you can “pop the big question” at our resort. 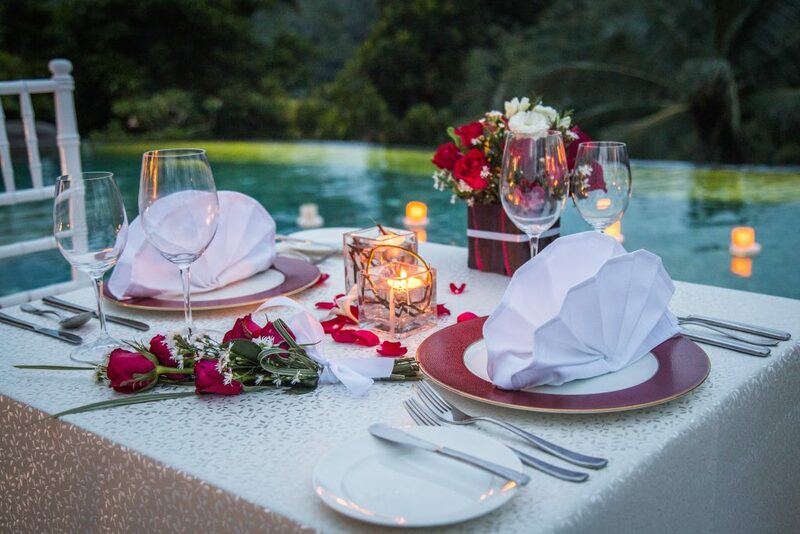 Take your lover on a classic romantic dinner date, set alfresco at our Bale Bamboo or Lower Poolside. Bend on one knee after enjoying a plate of delectable cuisine and an equally remarkable view, and you’ll surely receive a big fat “yes” from your future spouse. We couldn’t think of a more adorable way to propose to your other-half while being witnessed by these gentle giants. Not only you’ll make these elephants happy by washing and feeding them, but you will also give your partner the most loving surprise one could ever dream of. The scene: you and your partner dipping into our Lower Pool. Your partner thought it was another heavenly Bali holiday experience of Floating Breakfast or Floating Afternoon Tea but little did know the excitement that awaits them. Our helpful team pushing the tray, but not before slipping a box of your engagement ring on the floating tray filled with delicious breakfast or scrumptious afternoon tea. And as soon as they were about to reach for the coffee or juice, their eyes caught up with the engagement ring box as you quickly delivered the big question, followed by a happy “I Do!”. 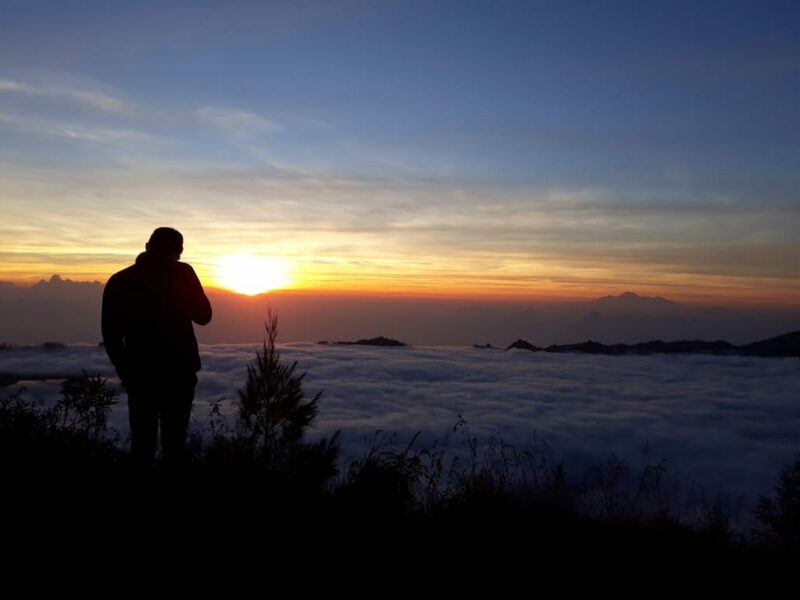 If your sweethearts love a good adventure, then they will appreciate saying “I Do” on top of the majestic Mount Batur with the Balinese sun rising over the clouds. Your partner is undoubtedly in for a lovely surprise on the top of the mountain after the two-hours energetic hike. 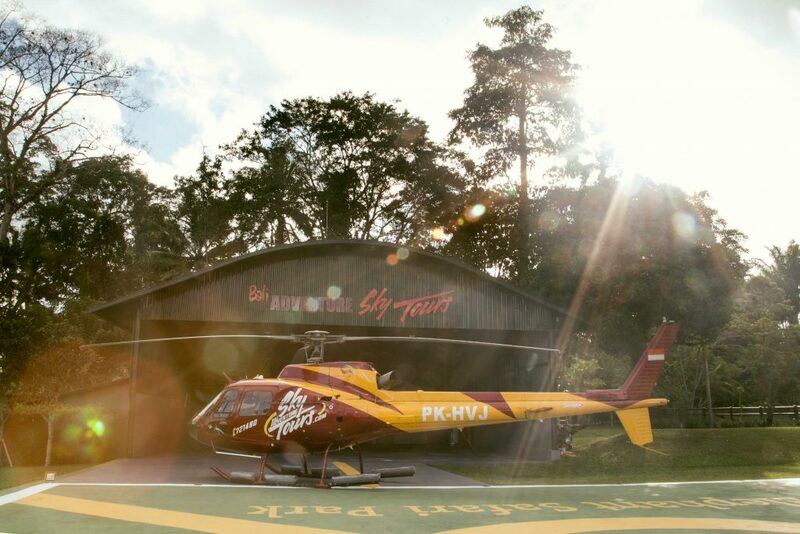 Pop the question on a luxurious helicopter ride while enjoying the spectacular bird’s eye view of Bali, perfect for those who appreciate the finer things in life. Another engagement idea for the adventurous couple is by courting your loved one under the waterfall of Tukad Cepung, with our Purification Journey program. Prior to visiting the fall, you’ll be taken to a sacred Balinese temple for Melukat or a cleansing ritual, where you can ask the gods for blessings to your big proposal surprise, not to mention incorporating a unique Balinese cultural element to your special day. Last but not least, if you’d like to keep it classy, opt for our Soak & Soothe. It’s the ultimate form of showering your better-half with love and attention – complete with a Balinese massage, flower bath setup, chocolate-dipped strawberry, and champagne – before popping asking your partner’s hand for marriage. Finally, once your other half says “Yes”, here is an inspiration for your wedding day at Padma Resort Ubud. And we also cater those who wish to celebrate love with a cultural touch. 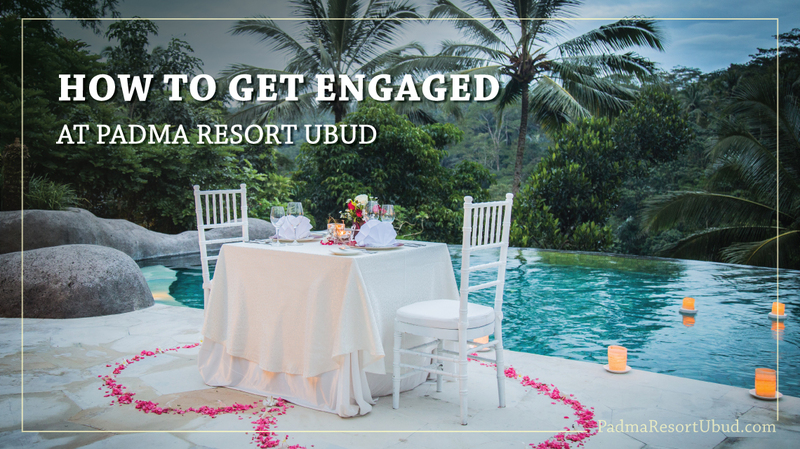 However way you wish to propose to your better-half, here at Padma Resort Ubud, we can help you to make it extra special. Get in touch with our team to start planning the sweetest engagement surprise for your partner.